In this rustic arrangement of dahlias, asters, and sunflowers, Renoir applied paint in two different ways, conveying the delicacy of petals with short, wet strokes and the solidity of the earthenware pot and burnished pears with broader, smoother brushwork. 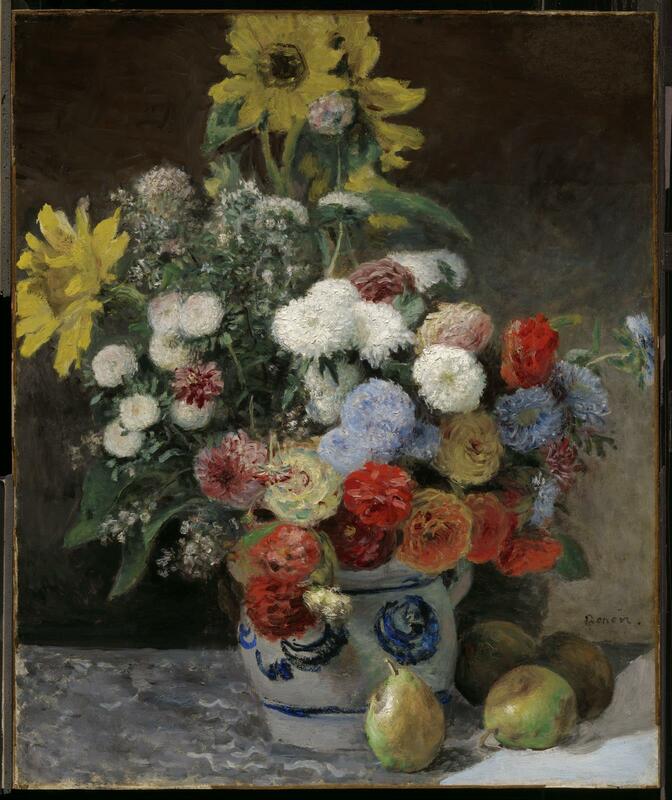 The picture marks Renoir’s closest collaboration with Monet; the young artists painted the same still life, sitting side by side before the arrangement. Monet’s version of the composition is now in the J. Paul Getty Museum.